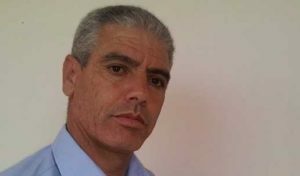 (Middle East Concern) — Algerian Christians are grateful that Slimane Bouhafs, imprisoned since September 2016 for blasphemy, has received a partial pardon. His three-year sentence was reduced by 16 months on July 5, the national day of Algeria, following a decree by President Abdelaziz Bouteflika, which provided clemency to several prisoners on account of good behavior in prison. As a result of the partial pardon, Slimane has nine months remaining on his prison sentence. Family members have again requested his release.